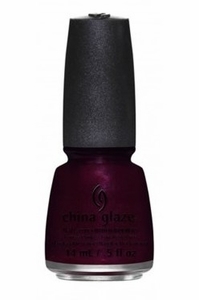 China Glaze Nail Polish, Conduct Yourself, 1324, .50 fl. oz. Vampy, dark blood red creme nail color with hidden shimmer.